Cressey's MTwo gorgeous NE corner home with 2 separated bedroom and 2 full baths, a good size balcony for outdoor living, the wrap around windows throughout the unit will amaze you with the views of mountains and lake. The famous Cressey Kitchen with spacious granite counter, stainless steel appliances, dual-door fridge, ample storage including full-height pantry, Additional good size insuite storage, Master bdrm features walk-through closets, stand-up shower plus toilet closet with sliding door for privacy. 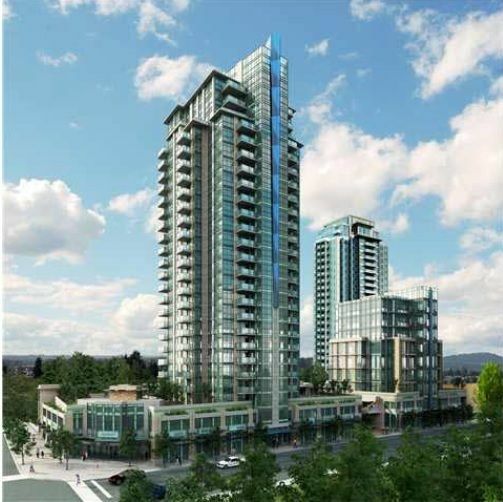 Central location convenient to everything: Skytrain, Shopping malls, Pinetree Way Secondary, Town Centre Park.